Brian Schmisek is professor and dean of the Institute of Pastoral Studies at Loyola University Chicago. Prior to coming to Chicago in 2012, he was the founding dean of the School of Ministry at the University of Dallas. His published works include The Rome of Peter and Paul: A Pilgrim's Handbook to New Testament Sites in the Eternal City (Pickwick), Ancient Faith for the Modern World: A Brief Guide to the Apostles' Creed (ACTA), Resurrection of the Flesh or Resurrection from the Dead: Implications for Theology (Liturgical Press), many other books coauthored for biblical study, and articles. Diana Macalintal has served as a liturgist, musician, author, speaker, and composer for the last twenty-five years, and her work can be found in Give Us This Day and many other publications. She is the author of The Work of Your Hands: Prayers for Ordinary and Extraordinary Moments of Grace; Joined by the Church, Sealed by a Blessing: Couples and Communities Called to Conversion Together; and Your Parish Is the Curriculum: RCIA in the Midst of the Community (Liturgical Press). Macalintal is a cofounder of TeamRCIA.com with her husband, Nick Wagner. Katy Beedle Rice is a catechist and writer who lives with her husband and three children in Boise, Idaho. She is a formation leader for the National Association of the Catechesis of the Good Shepherd, training catechists who work with children ages three through six. 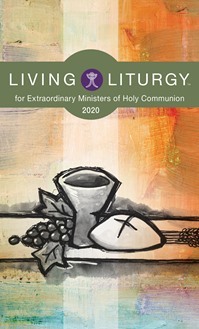 Rice is also a contributing preacher for the Dominican Podcast theWord (https://word.op.org), writes for Celebration Publications, a division of the National Catholic Reporter Publishing Company, and blogs about motherhood, ministry, and the Eucharist at blessedbrokenshared.blogspot.com.